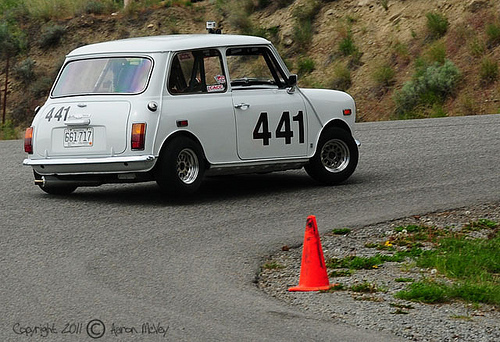 Geoff Tupholme won the Vintage Class at the 2011 edition of the Knox Mountain Hill Climb on the May 21-22 weekend, setting a new personal best time of 2:07.544. He led fellow VRCBC stalwarts, Roger Flescher (Sunbeam Tiger) and Evan Williams (TVR Grantura) across the line. All three will be at the BCHMR – and thoroughly warmed up from the looks of it!